VIP Moving Company | We treat your furniture as important as you do! Licensed and Bonded | Professional | Commercial | Residential | Apartments | and More! We are a full service Dallas area Moving Company. VIP is a residential and commercial moving company that will move all types of items. All items large or small are handled with the utmost care by company personnel. We are a apartment moving company that is licensed to provide competent, high-quality service in both residential moving and commercial moving. A moving company that is bonded has undergone a thorough background check. As a result, this provides a sense of well-being for the customer. 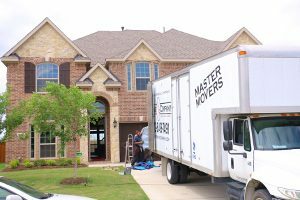 VIP Nationwide Moving Company is licensed, bonded and insured residential mover, serving the Dallas/Fort Worth Metroplex, in-state and out of state moves. As a result, this knowledge helps put customers at ease. Your household or office possessions are important and you want to hire professional commercial or residential movers that you can trust. To get an instant quote, call us at 972-849-7491 or 817-874-5995 or click the contact us button to send an email.